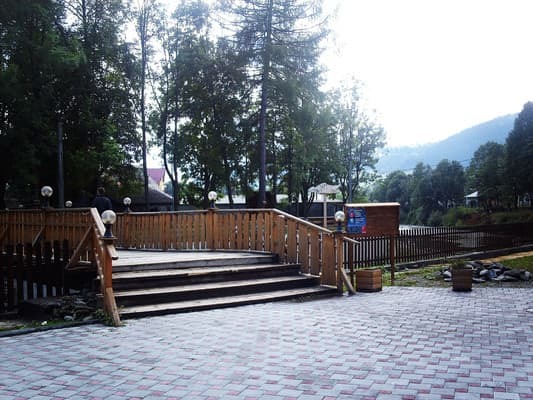 The recreation center "Edelweiss" is located in the village of Yasinya, 150 meters from the bus station. Guests can stay in comfortable rooms of economy, standard and superior. Each room is equipped with one double bed or two separate, bedside tables and a TV with cable TV. There are rooms with an individual bathroom or common facilities. Free Wi-Fi is available throughout the property. At guests' disposal cafe, where you can order meals from the menu, Hutsul cuisine. For lovers of outdoor activities there is ski equipment rental, billiards, table tennis and a tour desk. 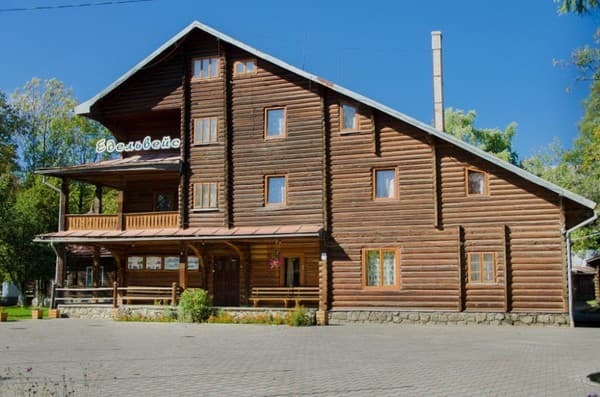 The recreation center "Edelweiss" is located 2.3 km from the railway station. In walking distance are cafes and shops. 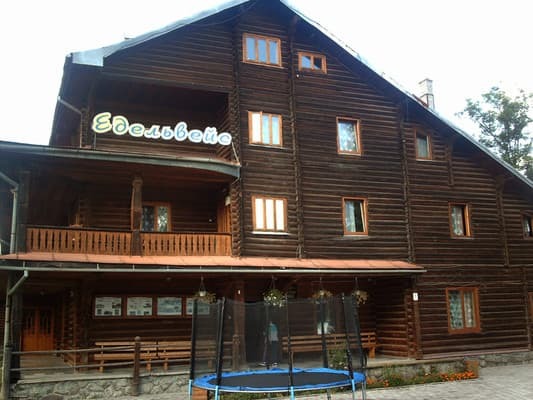 The distance to the Bukovel Group of Companies is 19.6 km, to Dragobrat - 15 km, to Yablunitsa - 12.9 km. 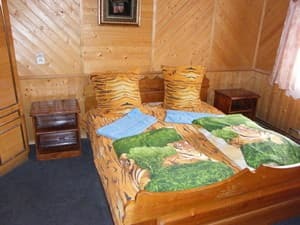 Description of the room: The cozy double room is decorated in a tree. The room is equipped with one double bed or two twin beds and bedside tables. 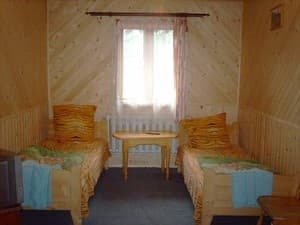 Description of the room: Comfortable double room. The room is equipped with a double bed and bedside tables. 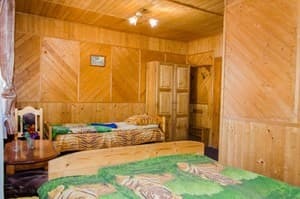 Description of the room: Cozy triple room decorated in a tree. The room is equipped with three separate beds and bedside tables. Description of the room: Comfortable triple room is equipped with one double bed and one single bed. 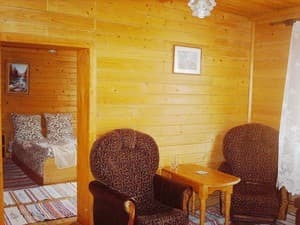 Description of the room: The cozy two-room suite consists of a bedroom and a living room. The room is equipped with a double bed, a sofa, a coffee table, armchairs. понравилось удобное расположение отеля, цена проживания, чистый воздух в этой местности, в номерах тепло, удобные кровати. Рядом есть прокат лыж и сноубордов. Подходит неплохо для ночлега, не более. Нет хорошей собственной кухни в отеле и в ближайшей доступности к нему, предлагаемых услуг и развлечений мало, в игровой комнате холодно и все остается на "советском" уровне, несовременно; персонал практически не представил информацию об отеле и базе отдыха, приходилось постоянно все выспрашивать, но ответы я получал. Все было достаточно не плохо. Не соответствует фото с сайта, с номером в гостиннице. Additional fees are available for a fee. The recreation center "Edelweiss" has a cafe, where it is possible to order meals on the menu. The cost of two meals is 190 UAH per person. ATTENTION: in the period until 27.12.16 and from 11.01.17 to 15.01.17 - breakfast is included in the room rate. 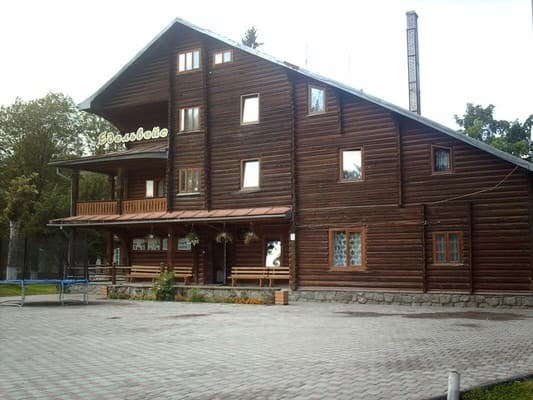 The recreation center "Edelweiss" is located 2.3 km from the railway station. The distance to the bus station is 150 m, to Bukovel - 19.6 km, to the Dragobrat - 15 km, to Yablunitsa - 12.9 km. By public transport: by train to Ivano-Frankivsk, then from the railway station or bus station by shuttle bus to Yaremche station. At the station Yaremche it is necessary to take a bus or a fixed-route taxi to the village of Yasinya. 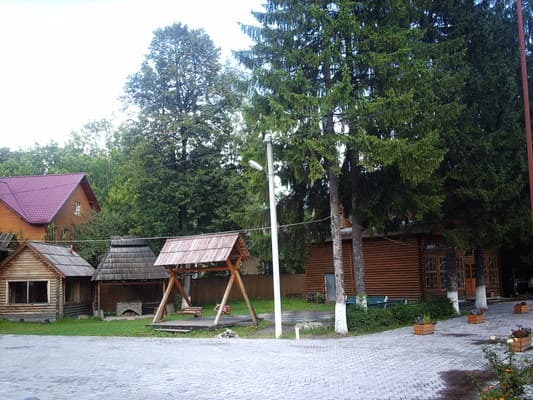 Each guest has the opportunity to book a transfer from Ivano-Frankivsk to the hotel or back. By car: it is necessary to drive along the Chop-Kiev highway M-06 to the city of Mukachevo, then turn south-east to the M-1-Mukachevo-Ivano-Frankivsk-Lvov highway, which is just under 200 kilometers to the village Yasinya.